← Downton Abbey to End After Season 6….Say It Isn’t So! The Downton Dish has weighed in with their reaction over yesterday’s shocking news that Downton Abbey will end it’s immensely successful run after Season 6. The Dish ladies, Marlise Boland and Elyse Ashton, do not seem to be taking it too well…. The Downton Dish, a successful web-chat-series dedicated to Downton Abbey has received positive feedback from fans who have enjoyed the “Dish” hosts and their crazy antics over 9 episodes covering all of Downton Abbey Season 5. Fun locations such as visits to Rose Tree Cottage and the historic Queen Mary, plus interviews with Downton Abbey notables Julian Fellowes, Allen Leech, Tom Cullen have set Downton Dish apart from any other recap show online…or indeed on television. Although Boland has joked that Downton Dish must end it’s run after Season 2, both hosts are incredibly sad to have to say goodbye to their favorite British aristocrats and their loyal servants. This entry was posted in British Telly and tagged Downton Abbey, Downton Dish. Bookmark the permalink. How exciting! Tea at Rose Cottage! I can’t wait! 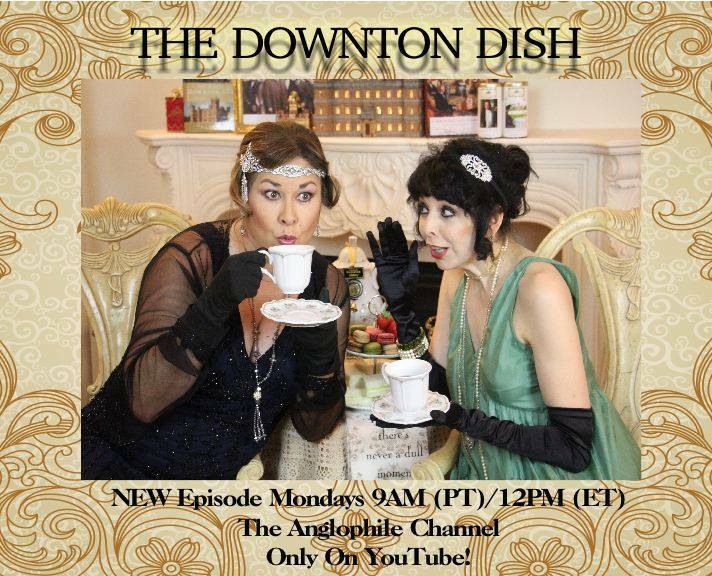 Another wonderful Downton Dish episode! Marlise and Elyse are terrific! The Commodore was great!